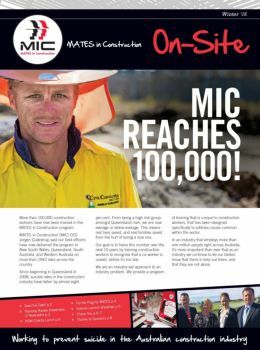 Stories featured in this edition include MATES reaches 100,000 people through training, MATES first ever brand Partnership, and the launch of Kokoda trek 2016. The Winter2016 Onsite newsletter will be hitting your sites soon! Grab your online copy here!